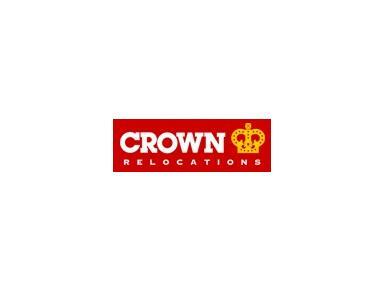 Crown Relocations is a division of the Crown Worldwide Group which was established in 1965. Over the years, Crown has learned the importance of providing services that go above and beyond packing and moving. Today, those who are managing relocation programs and those who are relocating themselves, need industry experts who understand the complexities of international relocations and the nuances of domestic relocations. Crown’s global team of more than 4,000 professionals deliver a full range of relocation services ranging from program management, relocation policy consulting and expense management for relocation professionals to international and domestic transportation of household goods, online tracking, storage, transit protection, home and school search, intercultural services and a host of departure and destination services for relocating employees, expatriates, diplomats and private customers. We proudly serve over 2,000 corporate clients and 100,000 transferees and their families each year. Our "one point of contact" structure and our exclusive “Move Management” program guarantees that relocation professionals will always be informed and their employees will quickly settle-in and become productive in their new working environment. For those are setting up a new home across town or on the other side of the world, relocating can be a stressful and complicated time. As your moving day approaches, keep in mind that Crown’s team is ready to answer questions during any part of your move. They realize that while moving isn’t always easy, it’s definitely exciting to begin a new adventure.